In order to give hams a choice in beam matching systems and an antenna featuring maximum gain with increased bandwidth, we devised the matching method used on the Classic antennas - the patented Balanced Capacitive Matching. For more information on the Classic feed system please see our FAQ section. "TRIED & TRUE" The Classic antennas featuring the patented balanced capacitive matching. The Signal Master multi band series, heavy duty, rugged construction, and optimized for performance. As with all Mosley antennas, pieces are all pre-drilled and color coded, which makes assembly quick and easy. As with all Mosley antennas, pieces are all pre-drilled and color coded, which makes assembly quick and easy. Our hardware is made of the best grade of stainless steel and our tubing is aircraft grade drawn aluminum. There are those out there who have been trying to copy and design a version of the PRO for the last 40 years. 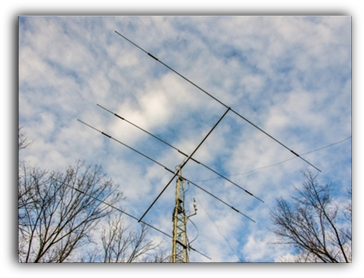 As with the copied TA-33, the TA-33 is still the best performing, durable, 14 foot tri-band beam made. Like the TAs, the PROs are the best performing, reliable and cost effective multi frequency antennas on the market. Tri-band , 3 element beam, 18 foot boom. 5-band, 4 element beam, 18 foot boom. 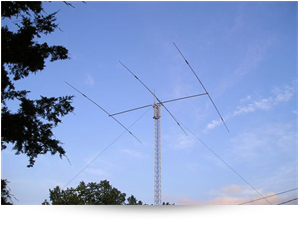 Tri- band, 6 element beam, 24 foot boom. 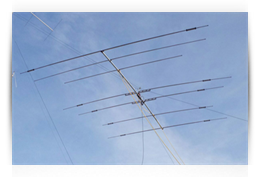 Tri-band, 9 element beam, 40 foot boom. 5-band, 7 element beam, 24 foot boom. 6-band, 7 element beam, 24 foot boom. 7-band, 7 element beam, 24 foot boom. 5-band, 9 element bean, 36 foot boom. 6-band, 9 element beam, 36 foot boom. 7-band, 11 element beam, 48 foot boom. 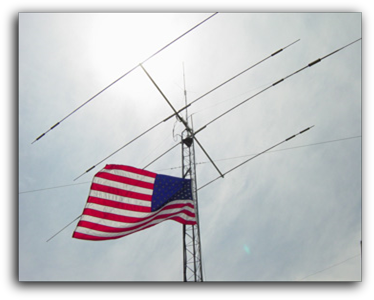 Tri-band, 3 element heavy duty beam. 3-band, 2 element light weight, high power beam. 3-band, light weight, high power beam. 5-band, light weight, high power beam. Tri-band 2 element beam, 7 ft. boom. Tri-band, 3 element beam, 14 ft. boom. 5-band, 4 element beam, 14 ft. boom. Tri-band, 4 element beam, 21 ft. boom. 5-band, 5 element beam, 21 ft. boom. 6-band, 6 element beam, 14 ft. boom. 6-band, 7 element beam, 21 ft. boom.